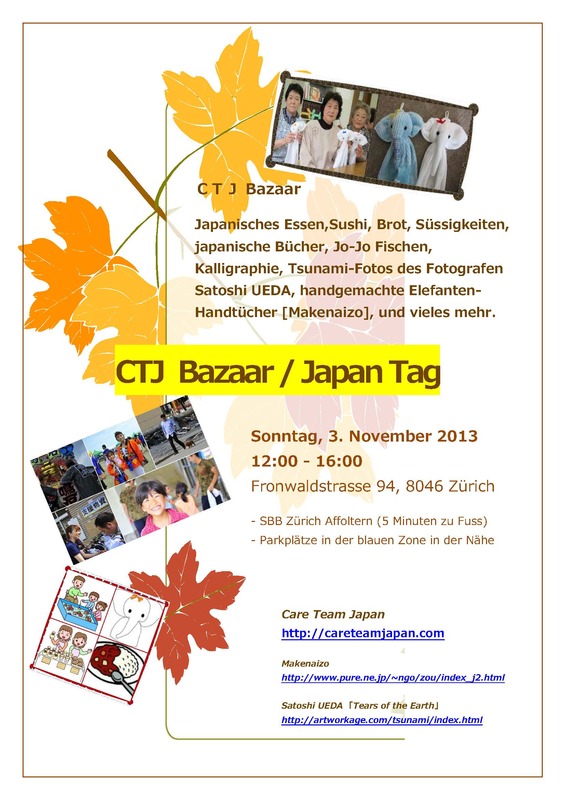 Care Team Japan organizes an Event for vibrating our heart with music and Japanese poems. When KOSHINO RYU was 35 years old she was the youngest leader of theTakarazuka Revue. She lead the 80 members of "moon troupe" on the way to success by her incredible performance. She left Takarazuka Revue in October 2013. Ready for a fresh start, she is preparing for public entertainment on television. In 1993 she entered Takarazuka Revue as the 79th generation student in "woman plays as a male role". Her stage name is Koshino Ryu and made her debut in Broadway. In 1994 she was assigned to the Moon troupe (until the day she left Takarazuka ) In 1999 she was chosen as a member for public performance in Beijing and Shanghai. In 2008 she succeed to IZUMO AYA's post and became leader of the Moon Troupe. Her last day of a serie of performance in Tokyo Takarazuka Revue was in October 2013. A Japanese violinist of the next generation, Mai Suzuki was born in 1989. She began to play the violin at the age of 4 and studies with Pierre Amoyal in Lausanne. Recently, she won 1st prize at the "Vaclav Huml" international competition in Zagreb, and the the Orpheus Swiss Chamber Music Competition in Basel 2013. She has performed with many orchestras in japan and Europe, and concertos by Shostakovich, Mozart and Mendelssohn received high acclaim. photographer, Satoshi UEDA, handmade elephant-towel (Makenaizo), and a lot more. Satoshi UEDA "Tears of the Earth"
The profit of 3469.25 Sfr. (291,240 yen) was delivered to the temporary housing association “Sasadani Tôbu (162 houses)” where victims from Namie-chô (Fukushima) live. On 23 December the president of NALC Fukushima, Mr. Seiichi Sato, handed the donation from CTJ (NALC Switzerland) to the president of the temporary housing association, Mr. Yûkô Toyoguchi, on the occasion when the housing association held its Mochitsuki-Taikai (Rice cake pounding meeting). Mr. Toyoguchi expressed his gratitude for the donation, and this was applauded by all the participants. From adults to children, they pounded a 180 kg rice cake, and the joyful meeting was broadcast in the evening by several local TV companies. Gien-kin (money donated to organizations such as the Red Cross) needs time for its distribution to be decided, and is not yet sufficiently delivered to people in temporary housing. It seems that running a temporary housing association is also not so easy. However, our donation, which is not gien-kin but shien-kin (support money), can be delivered immediately and was therefore appreciated. thankful to all who came to help and to contribute to this event. We look forward to seeing you again on the next “Japan-Tag”.